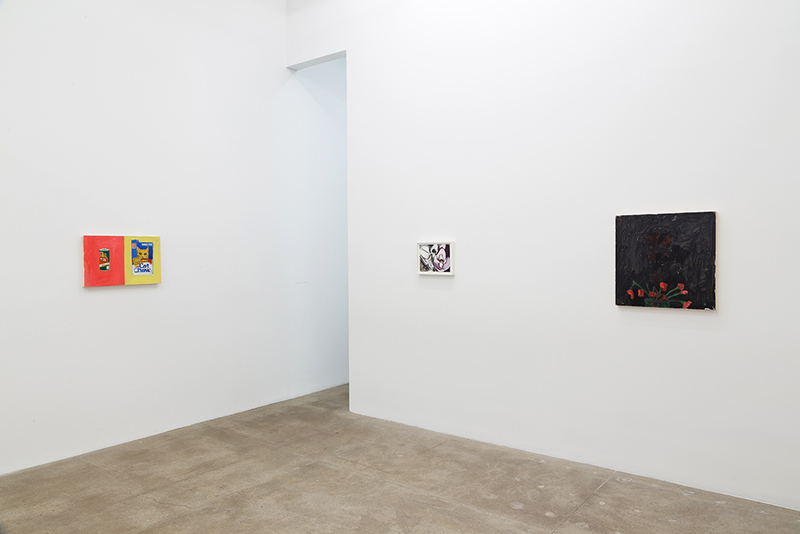 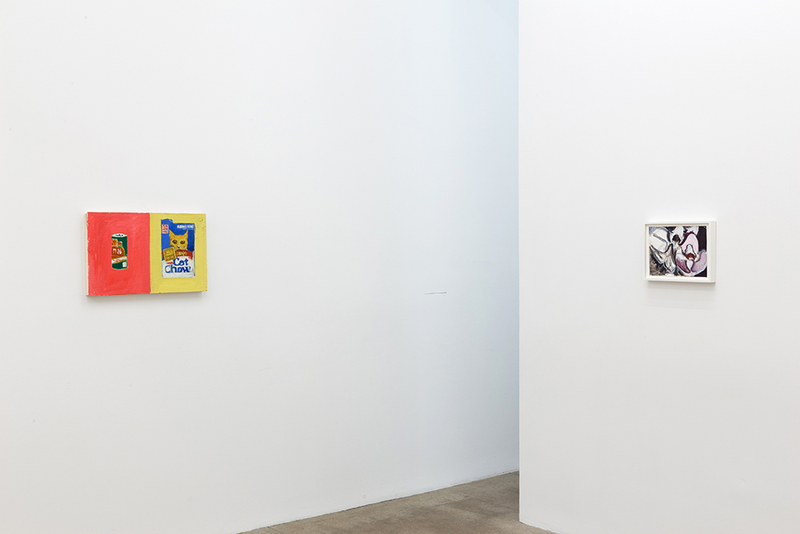 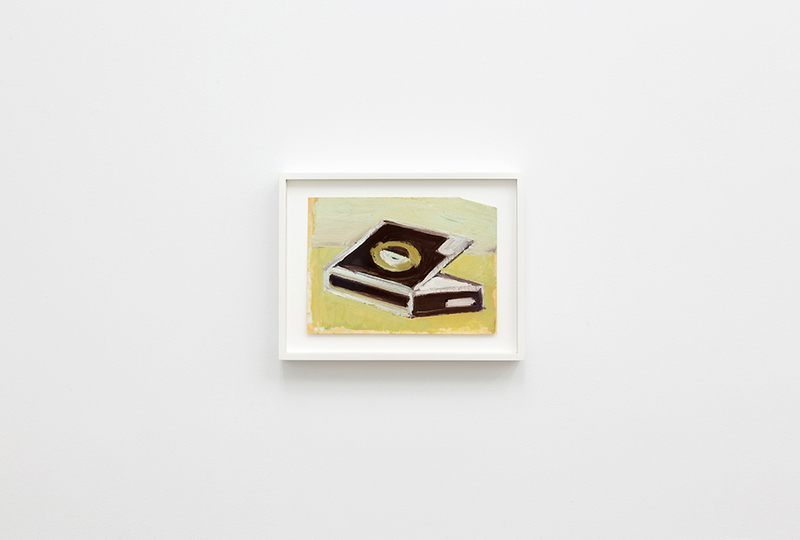 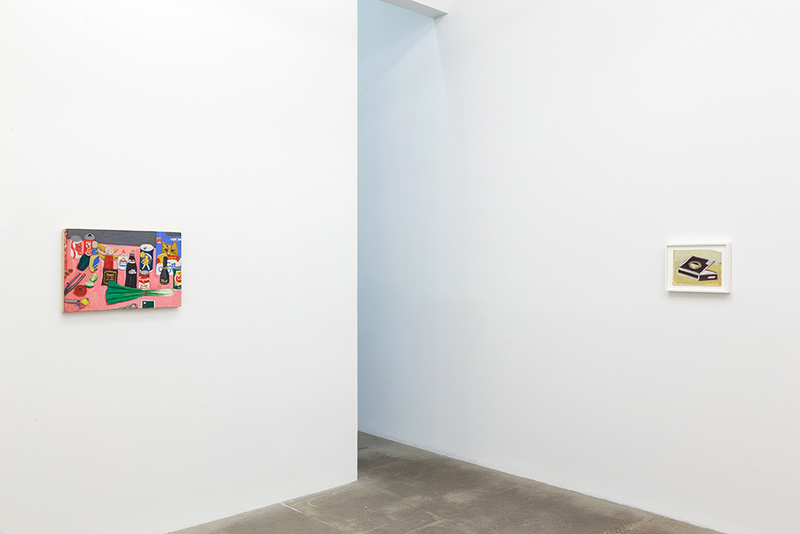 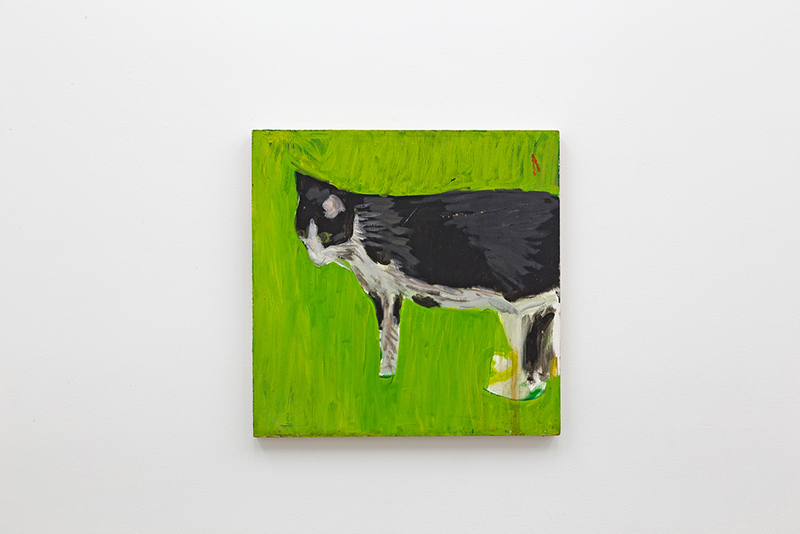 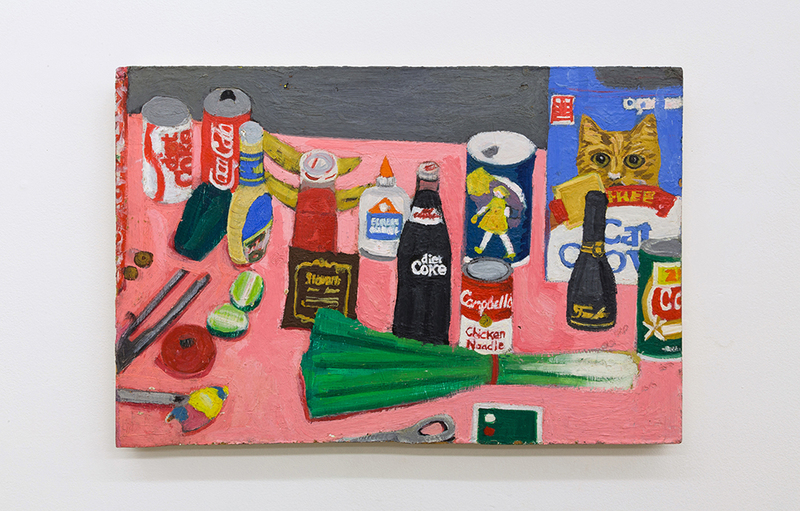 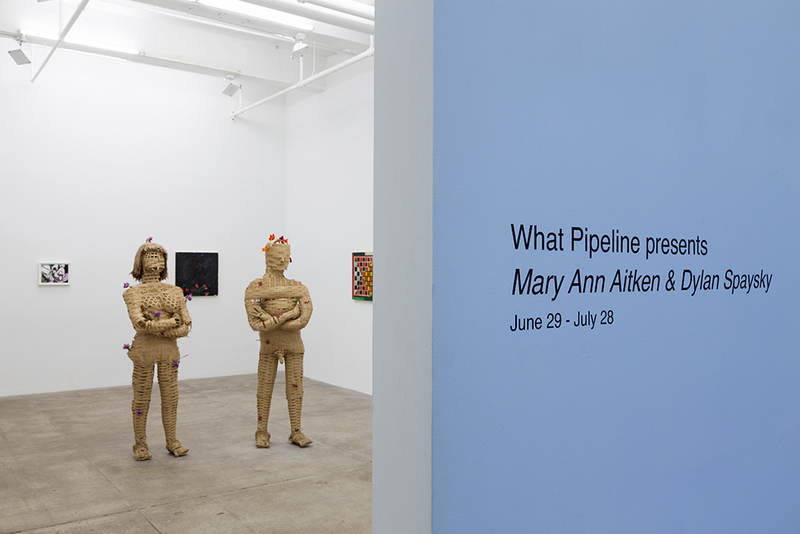 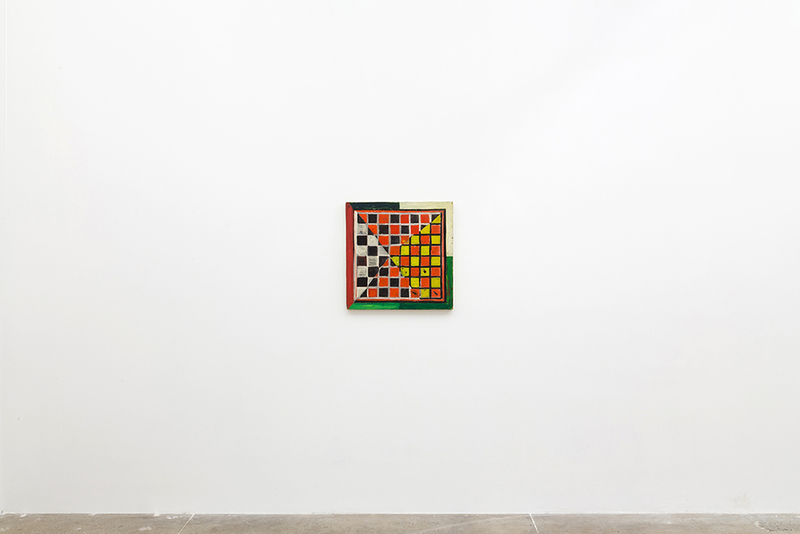 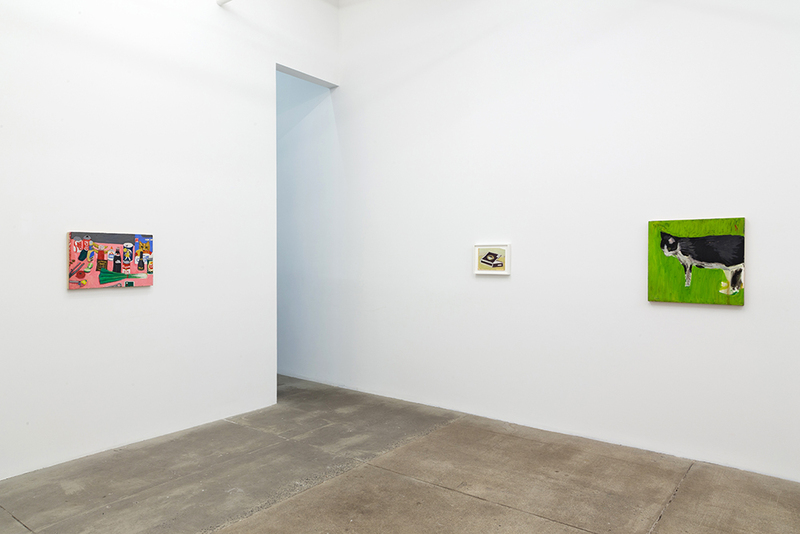 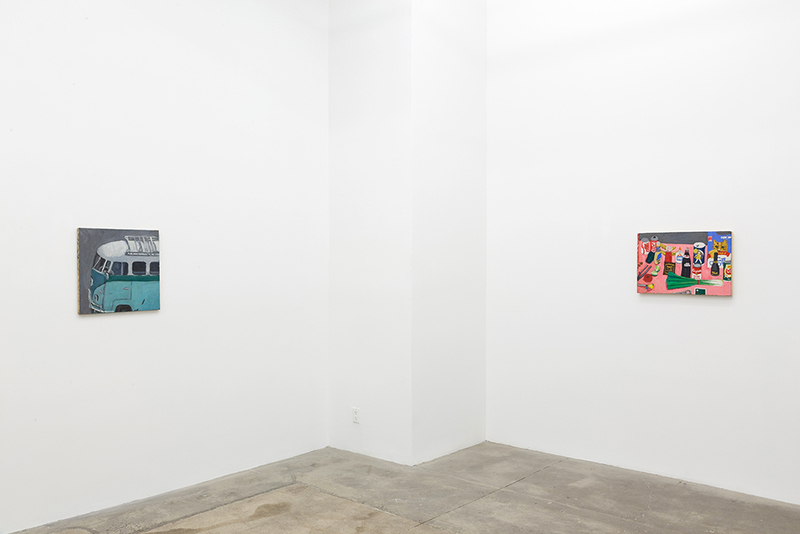 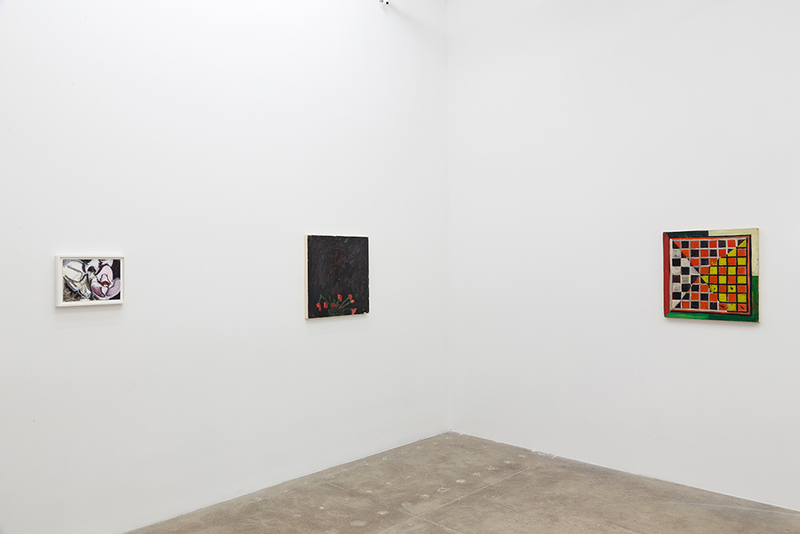 "What Pipeline... has ringed the wall with the small, muscular oil paintings of mundanities by Mary Ann Aitken (1960-2012) — a Volkswagen bus, a cigar box, a checkerboard and so on. 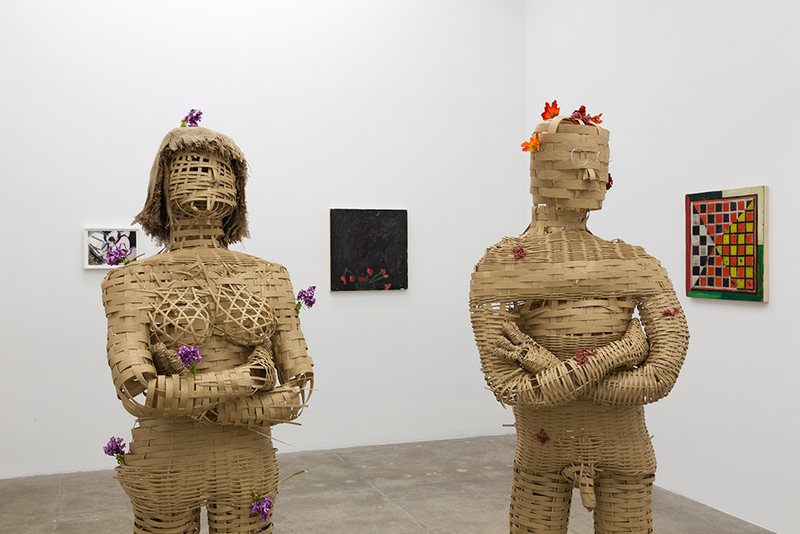 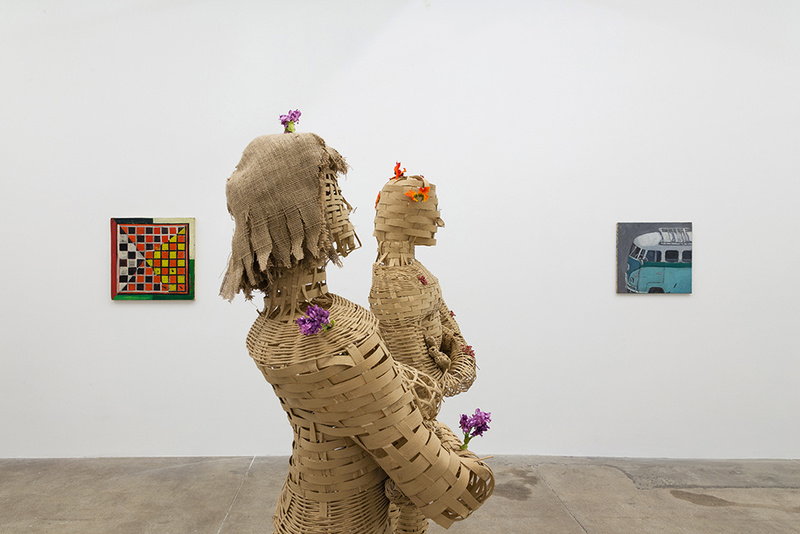 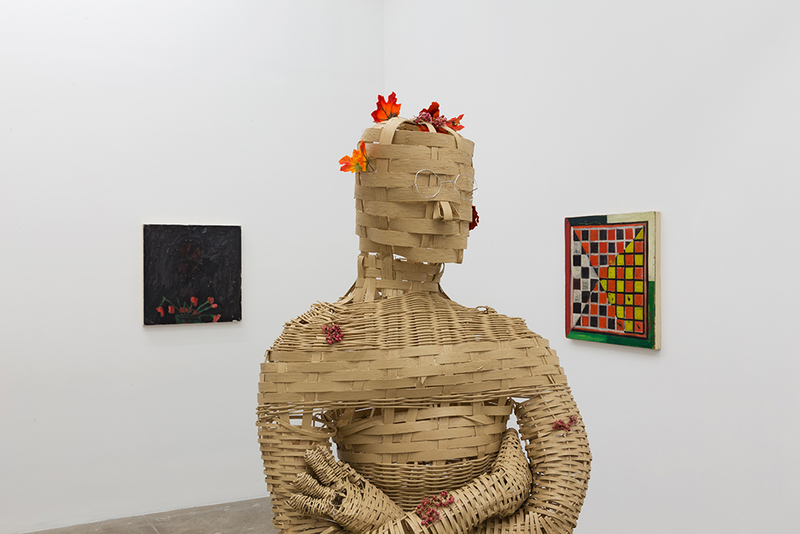 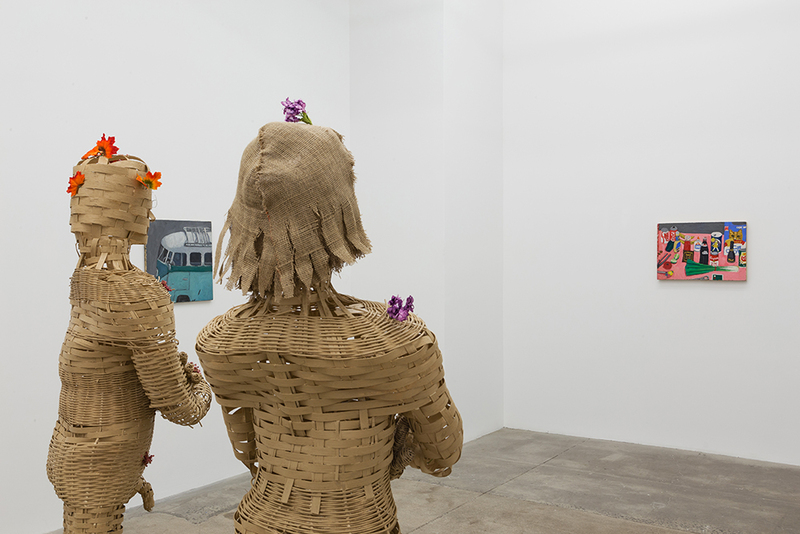 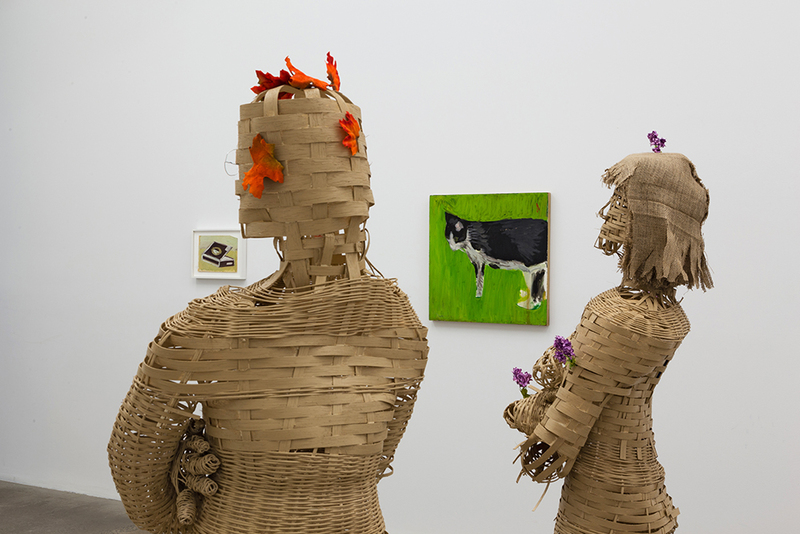 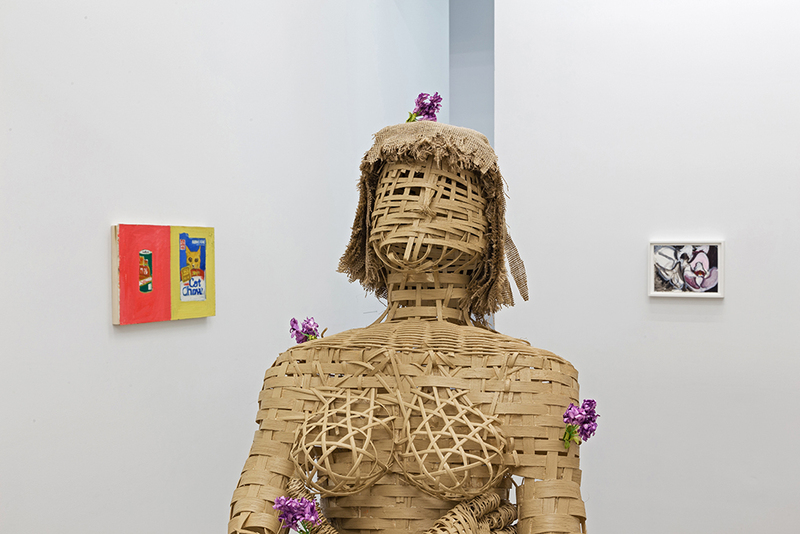 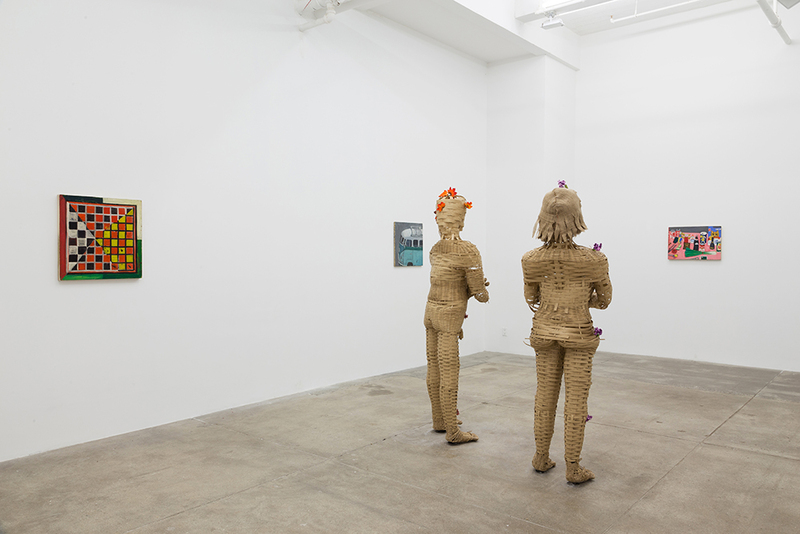 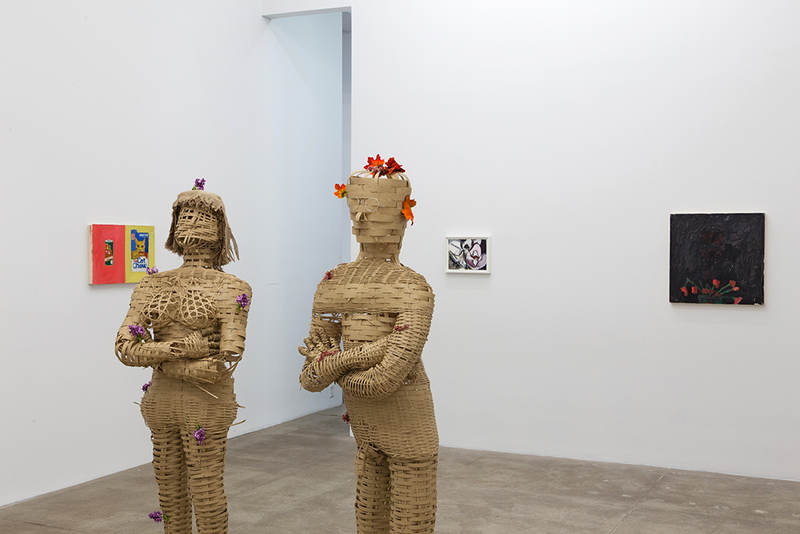 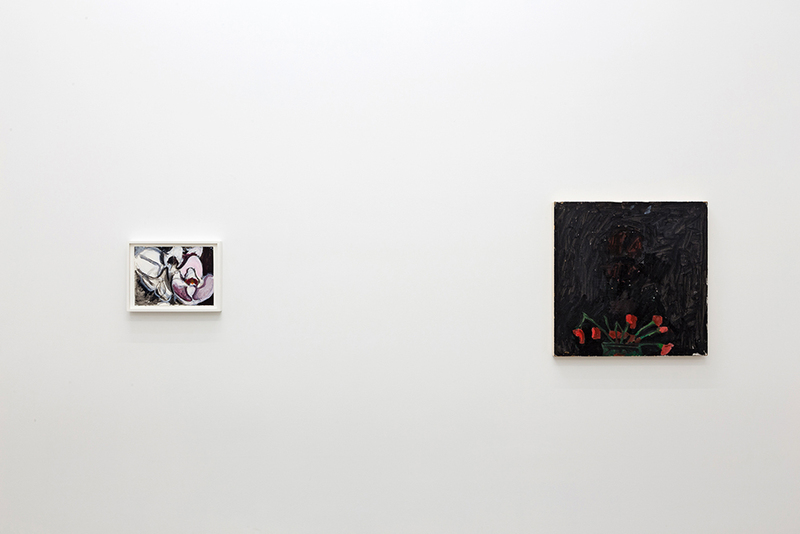 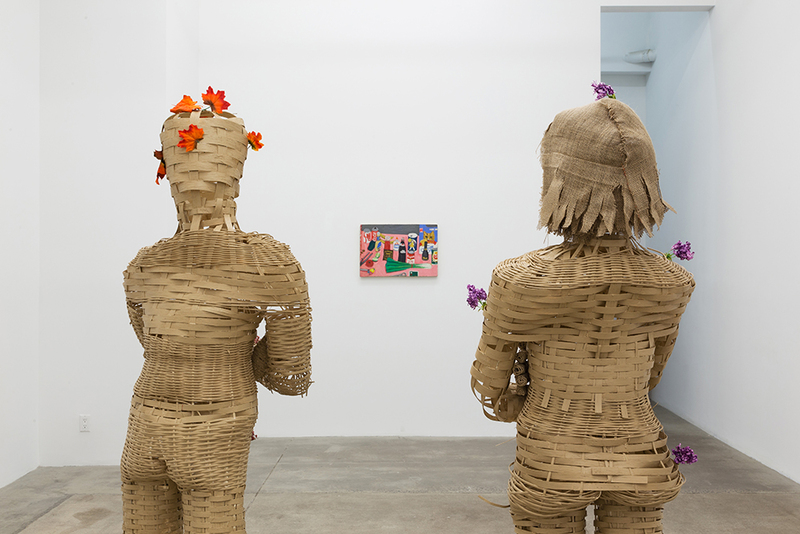 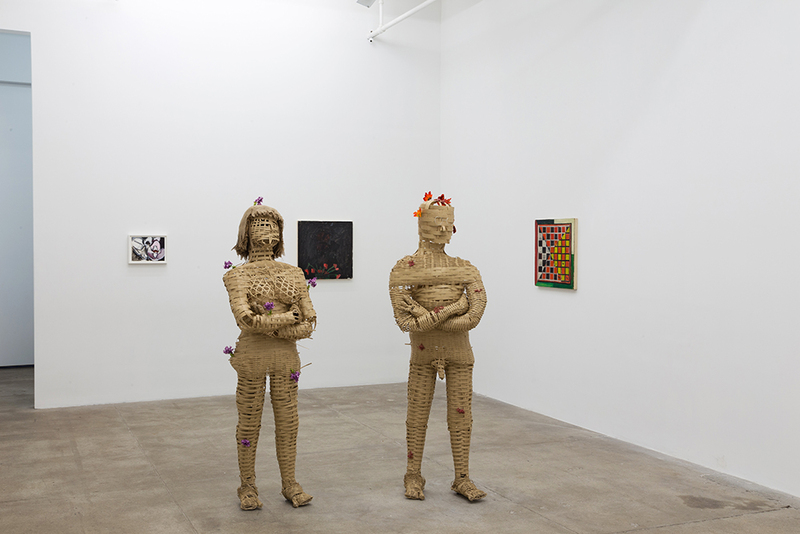 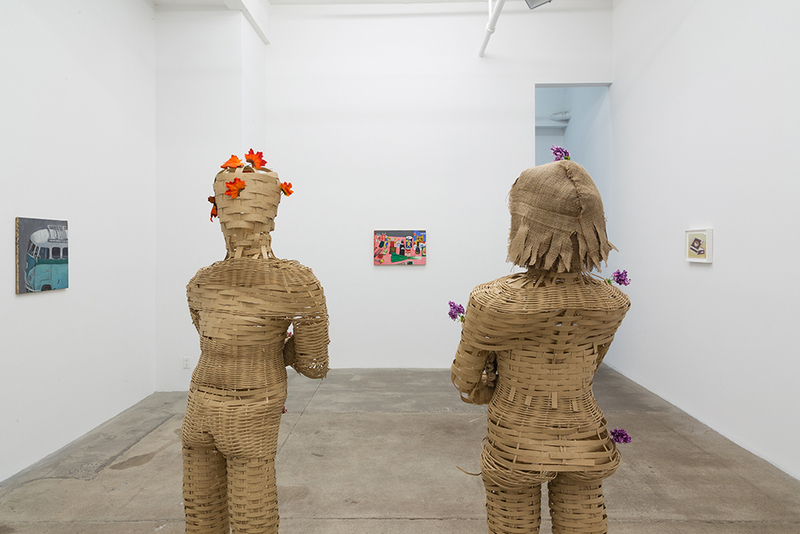 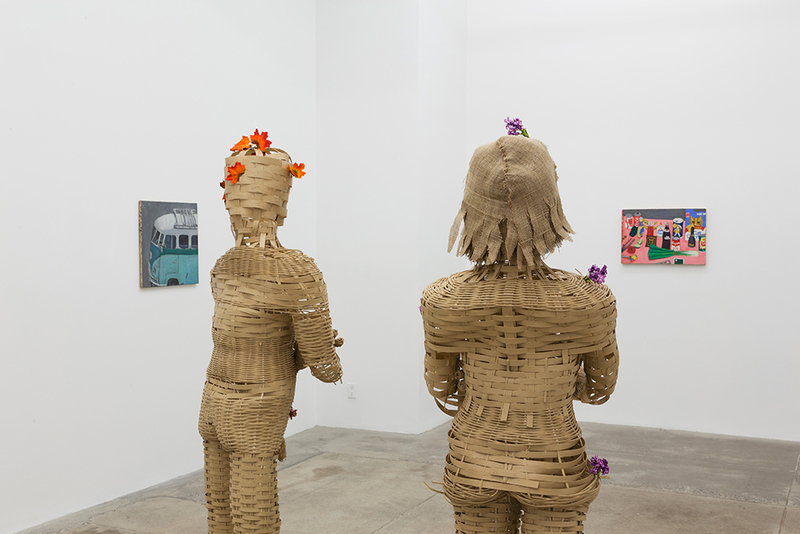 In the center is Dylan Spaysky’s life-size portrait sculptures of two friends in wicker, paint, burlap, wire and fake leaves or flowers. 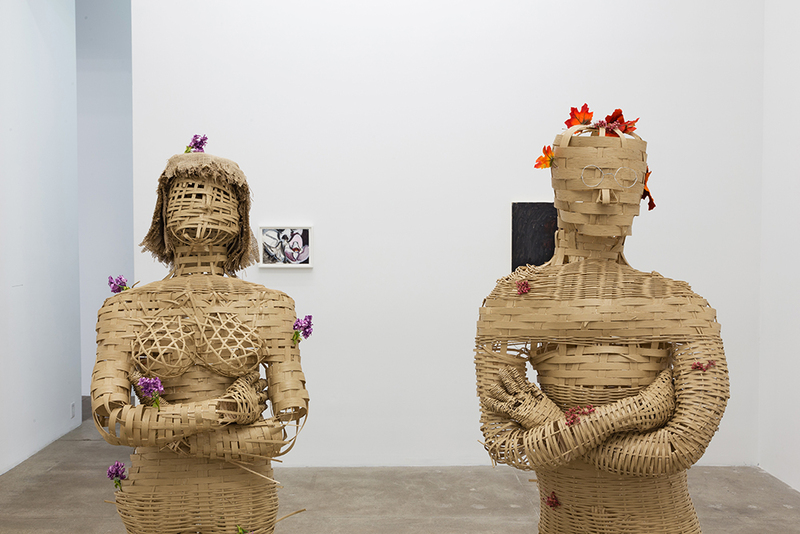 They vibrate: racially ambiguous, armored, basket- and godlike. 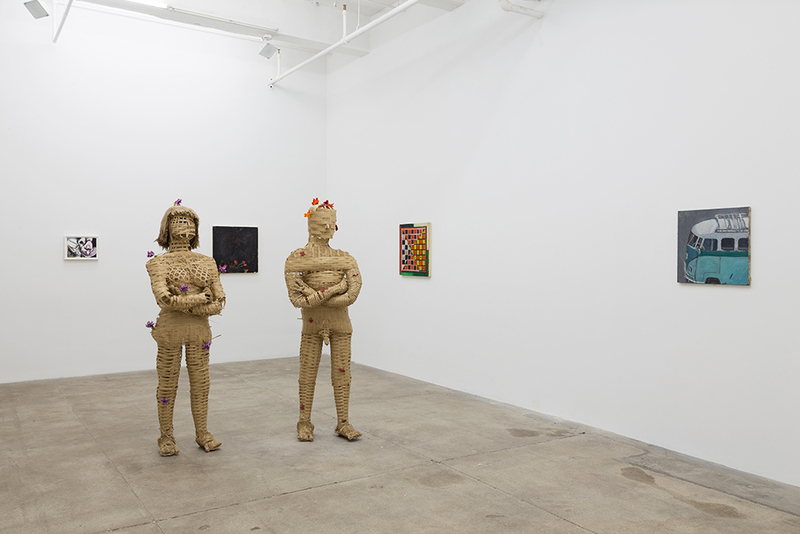 Mr. Spaysky’s facility for body language gets essential pushback from his touristy materials."